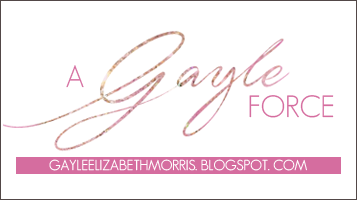 A Gayle Force: How Do You Sum Up a Life in 250 Words? And how do you solve a problem like Maria? This has been all over the blogwebz, and if you haven't seen it you're probably living under a rock. 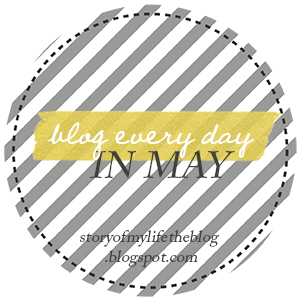 I am taking the challenge to blog every day in May. Obviously starting today. I will probably skip a few prompts, and I will definitely still be writing posts throughout the month that didn't come from a prompt, so don't worry! Day 1: The Story of my Life in 250 Words or Less I was born and raised in good old Southern Maryland. I had surgery a few months after my birth because I was born with a club foot. I had a pretty normal childhood until I turned 8. Three weeks after my eighth birthday my dad died. (He had cancer; we knew it was coming. That didn't make it easier.) My mom stayed strong on the outside so I really didn't know how to handle it. I grew up fast, I guess. We carried on like normal. Madre met an awesome man and married him right before I turned 15. High school was great for me and I would relive 11th and 12th grades in a heartbeat. Ahh, the high school years. I didn't get into my dream college but I got into my second choice. I survived four years there and hated every second of it. I seem to have more respect for my school now that I'm DONE with it. (Go Salisbury!) I was there two weeks ago for the first time since I graduated two years ago. 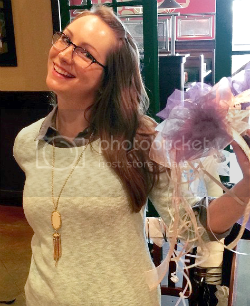 I now live in Alexandria, Virginia and I have an awesome job using my English degree (weird, right?). I live with a man who is incredibly special to me. I've filtered through a lot of hobbies, but the ones that stick are reading, movie watching, crocheting, list making, and whining. My favorite colors are red and yellow and I don't drink beer. I'm pretty sure that's all you need to know. I'm sorry about your dad :(. I know sorry doesn't make it better but yeah. You don't like beer?!? Whattttt. Hi there! I have ventured over from another blog where I noticed your button. Thrilled to be connecting with someone new!